This event would not be possible without the support of our generous fans, donors, and sponsors. There are lots of ways you can help. Attend to the event to participate in a fun, magical evening that has become one of the most successful benefit concerts in the area. Show your support by making a donation. Champion the cause by becoming a sponsor. 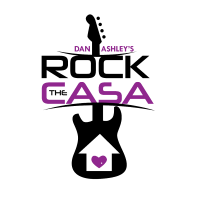 There are a number of ways that you can help support Rock The CASA. A corporate or private sponsorship is a great way to contribute while associating your brand with this wonderful cause. An individual donation is an easy way to help-out and can be done directly or using PayPal. Attending the event is how to have the most fun while experiencing a magical evening of music, entertainment, and charity. We will soon be announcing the creation of a permanent endowment fund to increase the financial and social impact of RTC. Stay tuned to learn more and be sure to signup for the email list in order to be among the first to hear about new announcements. Your support and contributions help to make a difference in the lives of children in need. It’s easy to get caught-up in the hustle and bustle of life and not realize how many kids rely on our caring generosity. Take comfort in the fact that you are creating a positive influence for those who truly need it. CASA of Contra Costa County and Friends of Camp Concord are two great organizations doing good work for under-served youth. These groups are very deserving of support and rely on the kind efforts of people like you and events like Rock The CASA. Send Rock The CASA a message to learn more.